As always at this time of year, I can feel myself becoming unwell: I often end up with a cold or another throat infection over Christmas. What is the best way to deal with this? 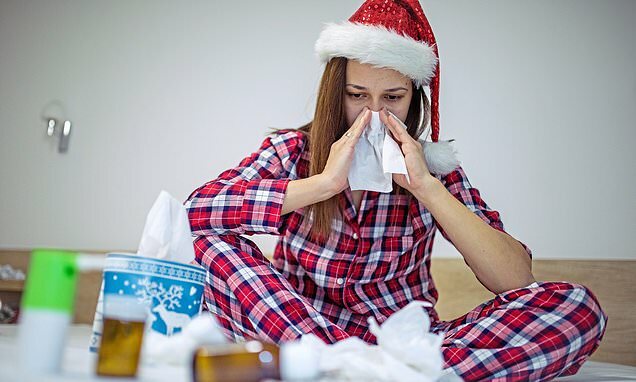 At about this time, coughs, colds, flu and the winter vomiting bug circulate more than at any other time – and with all the socialising that goes on around Christmas, it is easy to pick up and pass on infection. These problems are caused by viruses and do not respond to antibiotics. What they require is love and care to help your body to fight the virus. Rest is vital to give your body and immune system a chance. When people do not get enough rest, they are more susceptible to illness – particularly winter viruses. For symptomatic relief, paracetamol and ibuprofen work well, giving a few hours of relief from aches and pains. These can be taken every few hours on the worst days rather than waiting for the symptoms to escalate. Cold and flu remedies can also be valuable but are not essential – they can contain decongestants which some people find overly drying or uncomfortable. Saltwater nose sprays, available from pharmacists, work as a natural decongestant and are recommended by ear, nose and throat specialists. Steam inhalations are also helpful for congested sinuses and noses. Drinking plenty of fluids is essential when you’re unwell. Avoid alcohol, as it will worsen symptoms. It is fine to eat only a little.